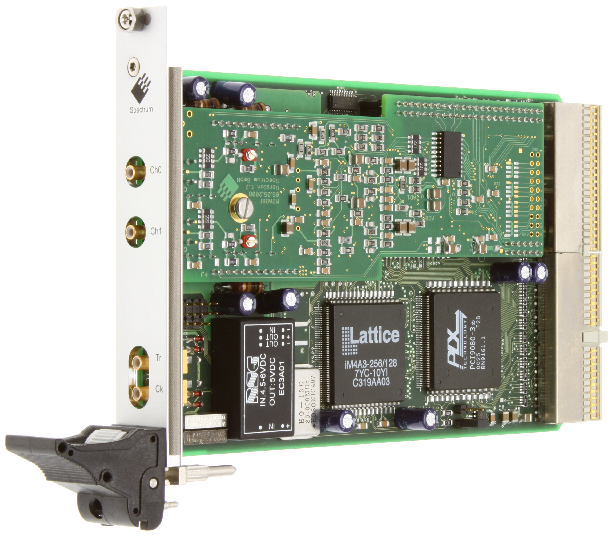 The 2 models of the MX.20xx series are designed for the fast and high quality data acquisition. 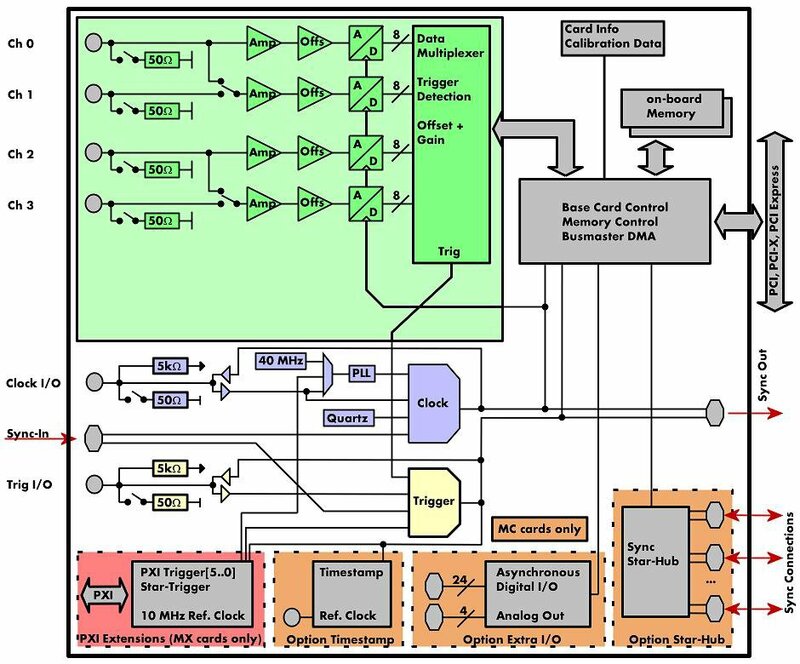 Every of the up to four input channels has its own A/D converter and its own programmable input amplifier. This allows to record signals with 8 bit resolution without any phase delay between them. The inputs could be selected to one of seven input ranges by software and could be programmed to compensate an input offset of +/-400% of the input range. The extremely large on-board memory allows long time recording even with highest samplerates. A FIFO mode is also integrated on the board. This allows to record data continuously and to process it in the PC or to store it to hard disk.